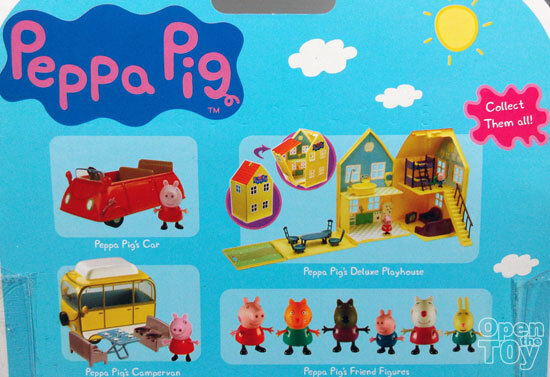 Today I am going to review a toy that my kid enjoy recently. 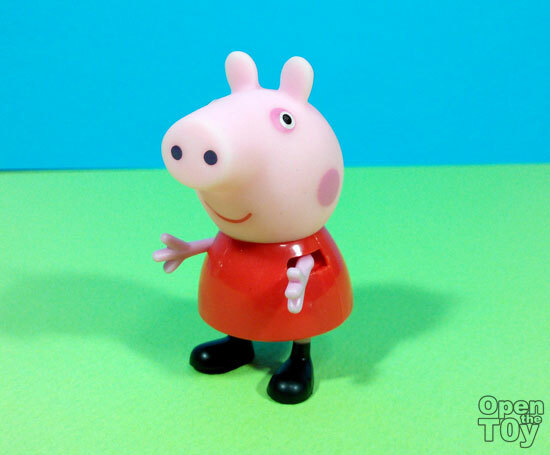 Peppa Pig from Character Group! As a parent, one of the quality way to spend time to know your kid is to learn what they like and enjoy. For my cases, he really enjoy watching this simple children program day in and out even on youtube. It was not long that I learned of the characters in this series and started to love them too. 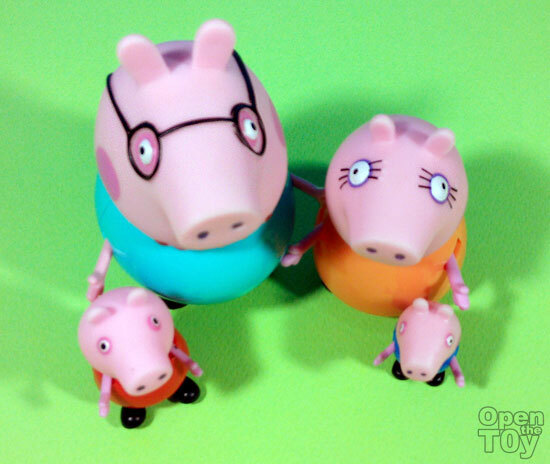 For starter, we got to have Peppa Pig and her family which only come in 2 separate packaging. 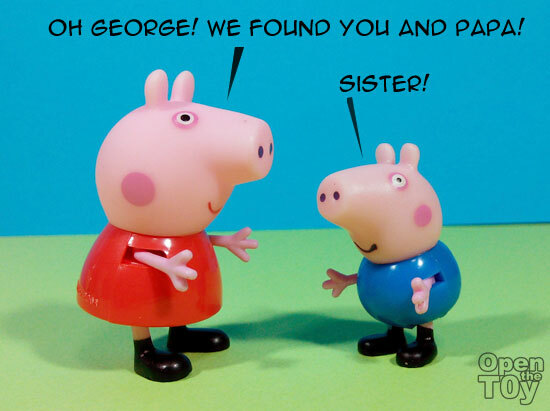 One Peppa and her Mother and the other was Peppa's Father and her younger brother George. Each of this packet are cheaper now when it first came out and it's a great time to get them. 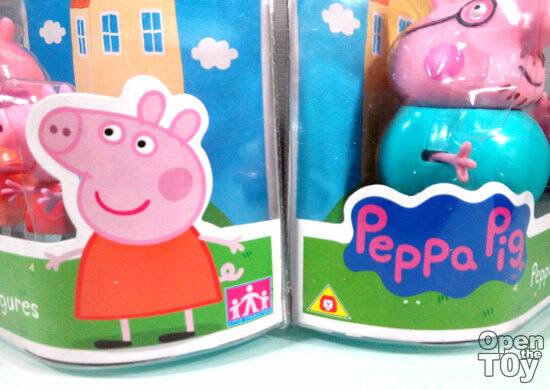 At the back of each packaging it will feature what others product of Peppa Pig to have a better toy playing experiences. That being said, it's time to Open the Toy! 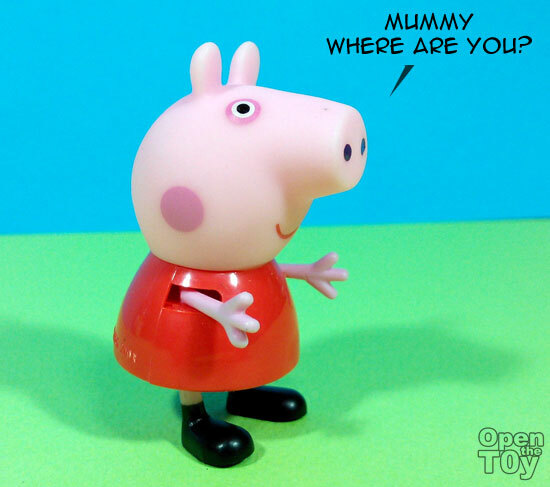 I will open Peppa first as she is the lead. 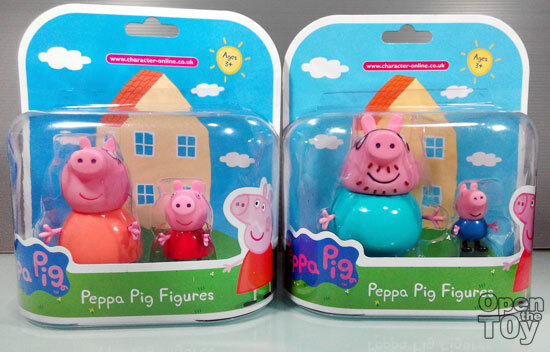 The figure out of package resemble the cartoon character well as this is a 3D toys. The best look was always from the side as it appear in the 2D cartoons. At the back of her, there was her curly cute tail. 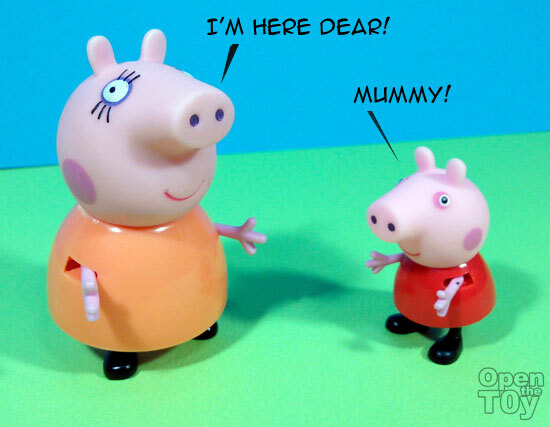 Here's Mama Pig that comes with Peppa. 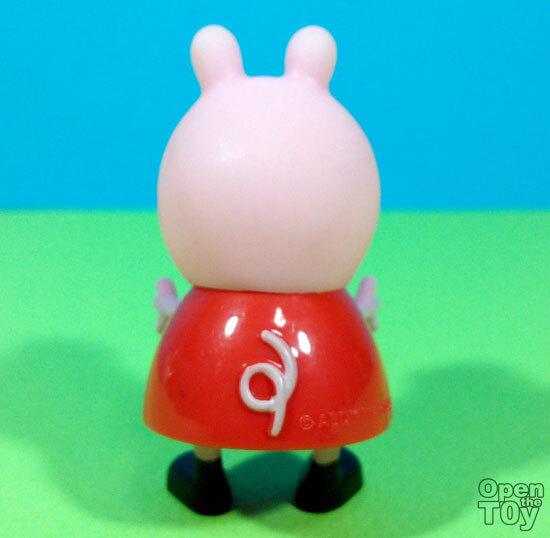 Since she is better in size, you can have a better view of the movement of her arms. 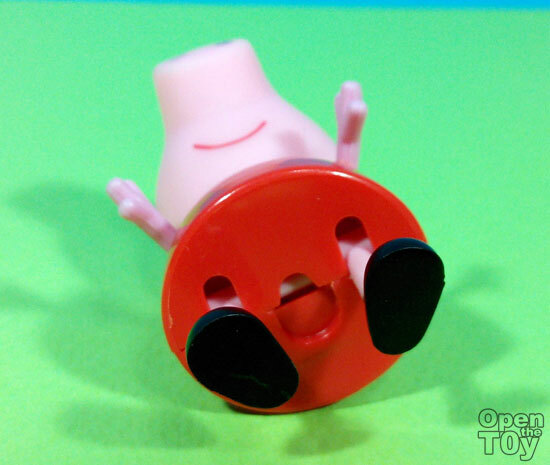 Since this toy is for younger kids, some basic articulation is good enough. 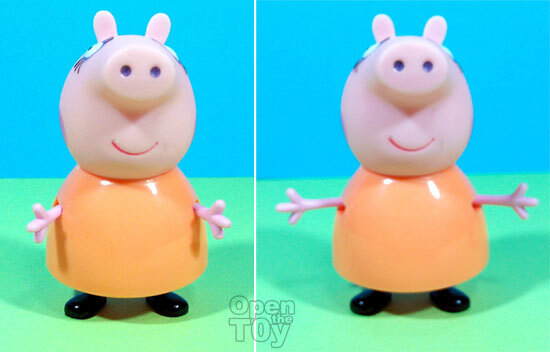 Now let's look at Papa Pig and little George.... and truth to scale George is the tiniest but the articulation remain the same as Peppa. 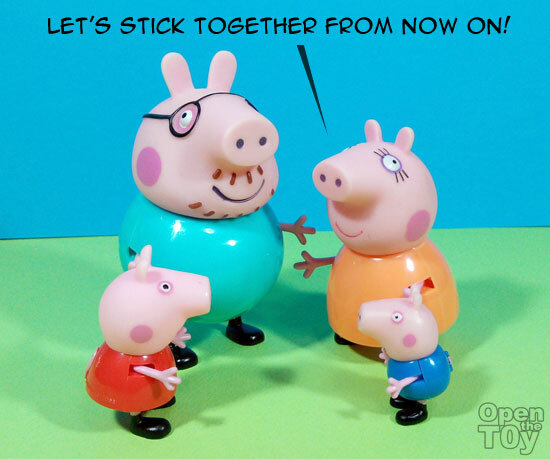 Daddy Pig is a challenge as she is big and round. 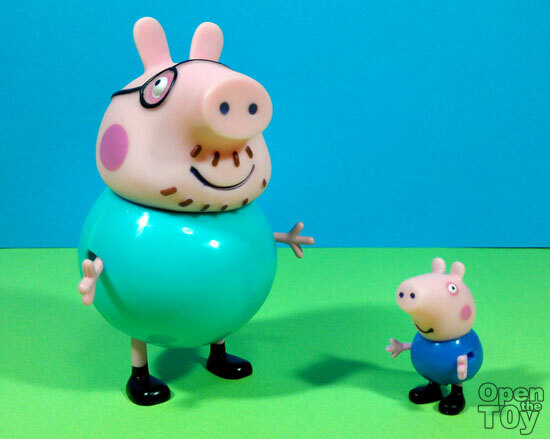 The body shape is just the same between the father and son. 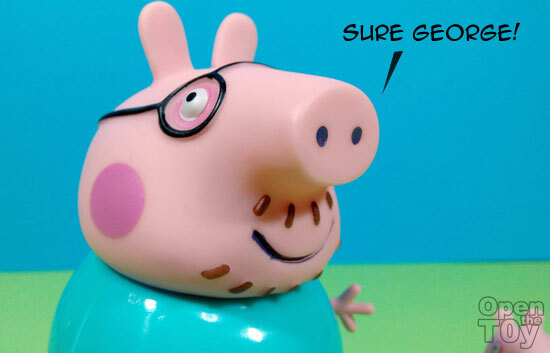 Here is the scale comparsion between Peppa and George. See how tiny George is? 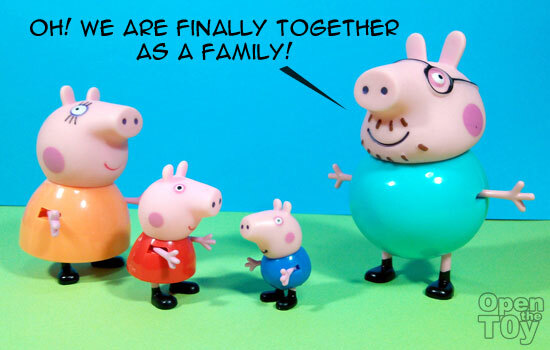 So here it is, the basic figures of Peppa Pig and they do look great as a family. 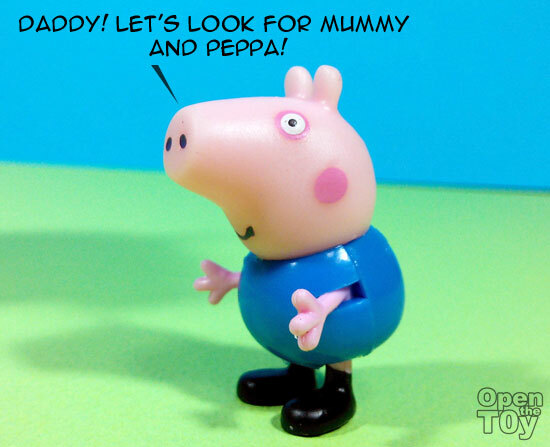 There are others figures in 2 characters peg which consist of Peppa and her friends. 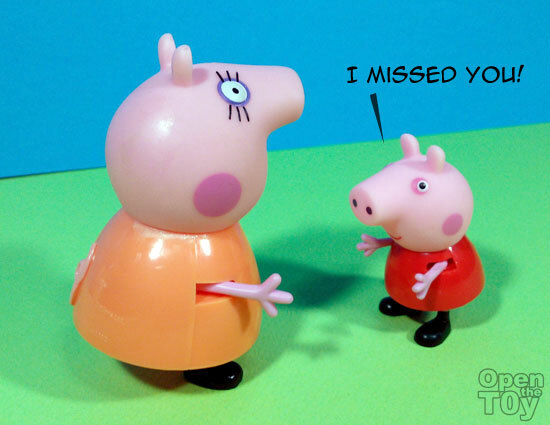 I will review other Peppa Pig in time to come. So stay tune!